A globetrotting, time-bending, wildly entertaining masterpiece hailed by the New York Times Book Review as "Audaciously well written...the book I was raving about to my friends before I'd even finished it." Publishers Weekly raved that "with near-universal appeal . . . Seay’s debut novel is a true delight, a big, beautiful cabinet of wonders that is by turns an ominous modern thriller, a supernatural mystery, and an enchanting historical adventure story." Set in three cities in three eras, The Mirror Thief calls to mind David Mitchell and Umberto Eco in its mix of entertainment and literary bravado. 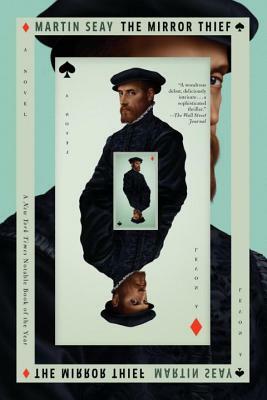 The core story is set in Venice in the sixteenth century, when the famed makers of Venetian glass were perfecting one of the old world's most wondrous inventions: the mirror. An object of glittering yet fearful fascination—was it reflecting simple reality, or something more spiritually revealing?—the Venetian mirrors were state of the art technology, and subject to industrial espionage by desirous sultans and royals world-wide. But for any of the development team to leave the island was a crime punishable by death. One man, however—a world-weary war hero with nothing to lose—has a scheme he thinks will allow him to outwit the city's terrifying enforcers of the edict, the ominous Council of Ten . . . Meanwhile, in two other Venices—Venice Beach, California, circa 1958, and the Venice casino in Las Vegas, circa today—two other schemers launch similarly dangerous plans to get away with a secret . . .
All three stories will weave together into a spell-binding tour-de-force that is impossible to put down—an old-fashioned, stay-up-all-night novel that, in the end, returns the reader to a stunning conclusion in the original Venice . . . and the bedazzled sense of having read a truly original and thrilling work of art. MARTIN SEAY is the executive secretary for the village of Wheeling, Illinois. This is his first novel. "A true delight, a big, beautiful cabinet of wonders that is by turns an ominous modern thriller, a supernatural mystery, and an enchanting historical adventure story...A splendid masterpiece, to be loved like a long-lost friend, an epic with near-universal appeal."